There is simply no arguing with the fact that Belize is a tropical and beautiful destination. In recent years, tourism rates have begun to rise rapidly as more and more people learn about what the scenic Central American nation has to offer. However, Belize is a lot more than just the ultimate vacation spot. It can also be a wonderful place to call home, particularly for retirees in search of sun, sea, affordable properties and the amenities they need most. These five facts about living in Belize can help explain why so many retirees gravitate toward the country. When choosing a place to live, whether as a young adult or as a retiree, cost is always a major factor. Many retirees dream of one day living just a few steps from a beach, but the expense can be prohibitive in many destinations. In Belize, however, property is a lot more affordable than most people realize. This makes it possible for even those living in a retirement budget to buy the home of their dreams and grow old on a beachfront property in paradise. Everyone has a slightly different idea about what the perfect climate might be, and there are some who genuinely look forward to snowy winters or cloudy skies. However, many individuals from around the world love Belize because of its warm climate. The tropical location translates to sunshine, lush greenery and warm temperatures throughout the year, making it an obvious choice for many retirees. Whenever people are interested in moving to a new country, safety has to be a top priority. Belize is one of the safest places in Latin America to call home, and crime rates are exceptionally low. In places like Ambergris Caye, which is a top destination for expats and retirees, violent crime is virtually nonexistent, helping residents to feel safe and secure at all times. 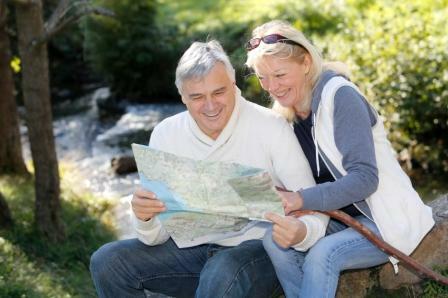 A major point to consider when choosing the perfect place to live during retirement is what kinds of activities you can enjoy in the area. During retirement, you'll have more time than ever before to get active, spend time outdoors and pursue your hobbies and passions. For that reason, it is important to choose a destination that lets you do it all. In Belize, there is virtually no end to the great amenities and recreation opportunities. You can work out in the San Pedro Fitness Club, swim laps in an outdoor swimming pool, tee off at a local golf course, attend local cultural festivals, take yoga classes on the beach, join a guided tour of ancient Mayan ruins or just unwind with a scenic walk along the coastline at sunset. Anyone interested in moving abroad should note the healthcare infrastructure in their intended destination. This is doubly true for retirees, who may need extra medical attention in the future. Belize is home to a variety of excellent physicians, most of whom speak English fluently and many of which have studied abroad. There are also world-class hospitals and very affordable healthcare options. Thanks to affordable and abundant healthcare, inexpensive real estate, endless opportunities for recreation, a safe environment and a warm climate, Belize is an amazing place to call home and an especially appealing destination for retirees.